Phishing is a criminal activity using social engineering techniques. Hackers attempt to fraudulently acquire information as username, passwords, and credit card details, by masquerading as a trustworthy entity in an electronic communication. 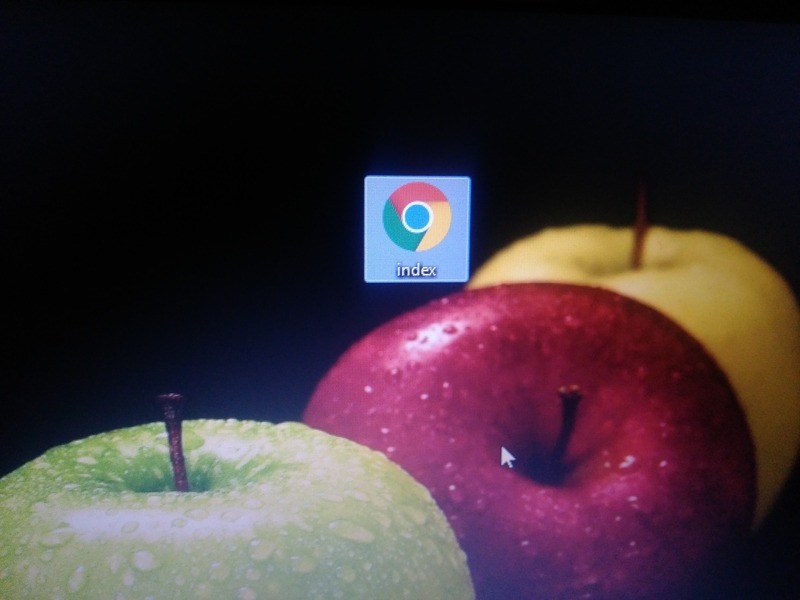 The most widely used technique in phishing is the use of Fake Log in Pages (phishing page), also known as spoofed pages. 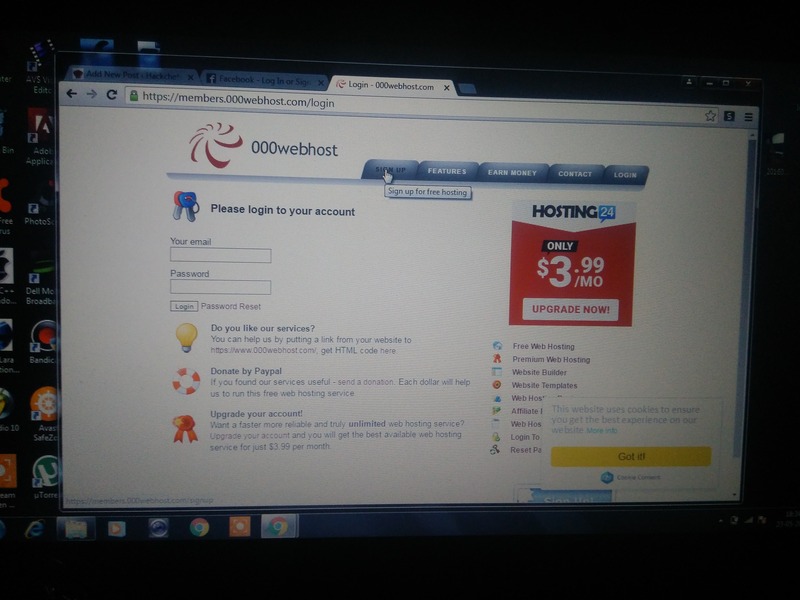 These fake login pages resemble the original login pages of sites like Yahoo, Gmail, MySpace etc. 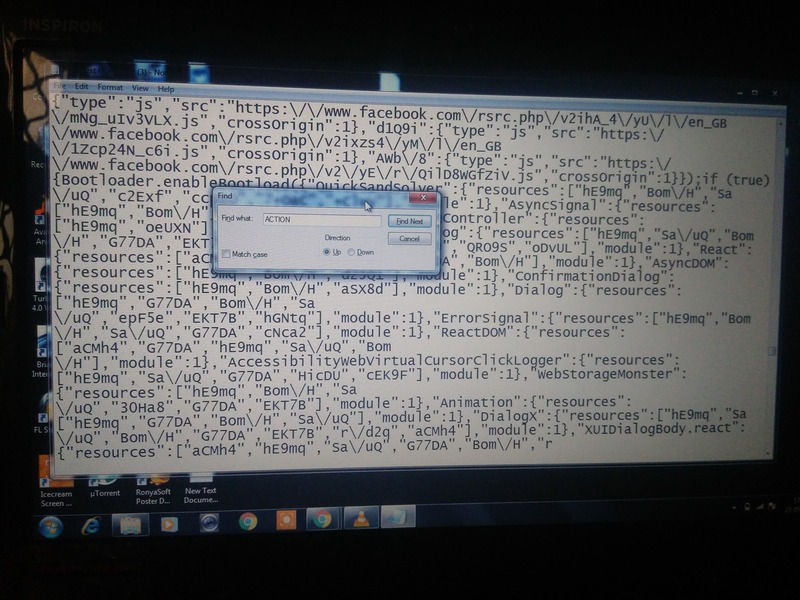 The victim is fooled to believe the fake Facebook page to be the real one and enter his/her password. To protect yourself from phishing do not open fake or unknown links. 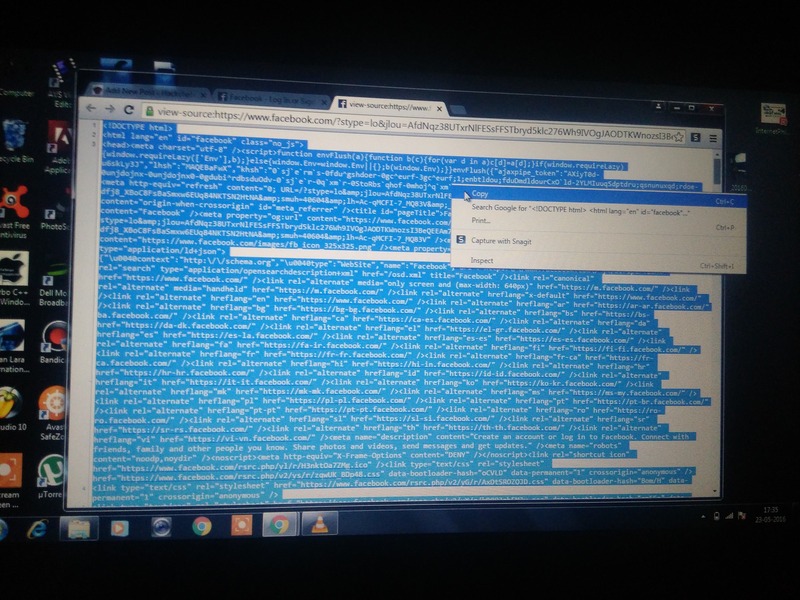 Phising fb is the common trick for so long time, so most of the people know it. How to create this phishing page? Is it difficult to do that or there is any technical skill required for this like programming, networking etc? Creating a phishing page is easy. You need some knowledge about how it works and it’s procedure of working that’s it and everything is explained in steps. To create phishing page, go to the Facebook.com and then right click on the blank area, you will see the option view source page simply click on that. 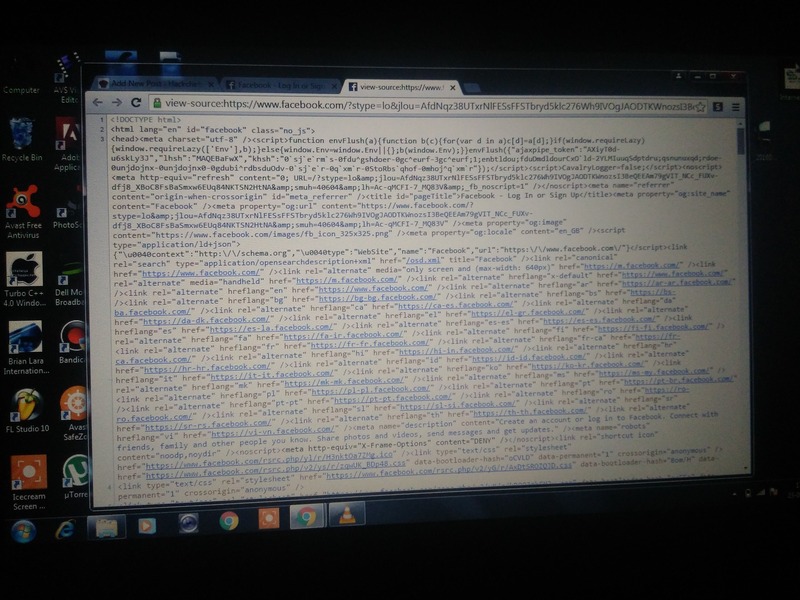 Now a tab will open which will contain source code of Facebook login page, select all code and copy all code and paste it into notepad. Paste this code in notepad. Now open notepad and press CTRL+F and type ACTION. After that delete all the text written in green and instead of writing it Post.php. Then it will look like action=”post.php. Now you need to create a php file for this Open a new notepad and copy the code given below and save it with the name post.php. Now you need to upload these two files in a free web hosting site. some best webhosting site which are useful for you. 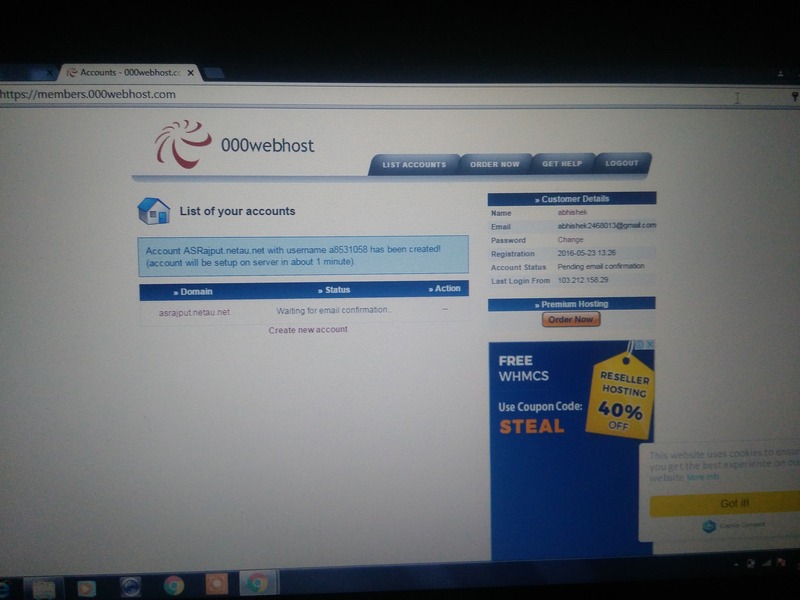 you need to make a account on any of one below webhosting site. Now you have to sign up simply fill all required information in the registration form. when your account completely setup simply log in with your username and password. Now open Cpanel (control panel) then click on file manager, after that a new window will pop up. now go to public_html. Delete the file named default.php after that you need to upload index.htm and post.php file. Click on upload files button and upload both files one by one. Now click on index.htm which will look like same as that of the original Facebook page. 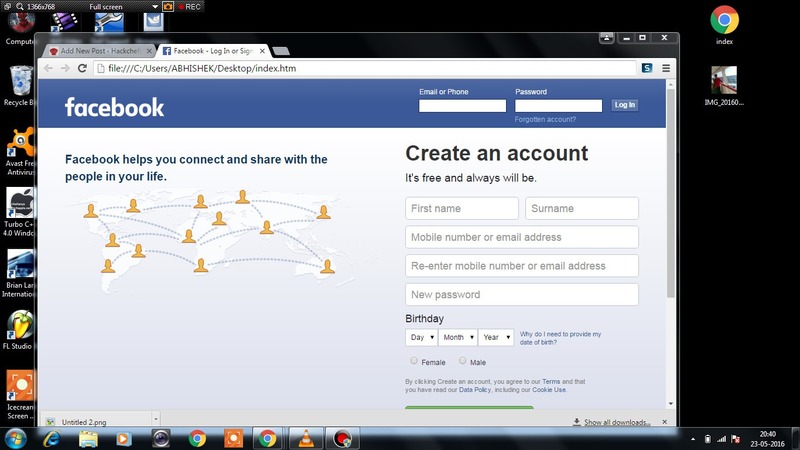 This is your phishing page of Facebook. phishing is a criminal offense and illegal activity so don’t try to anyone. This tutorial is for educational purpose. For any help, you can leave a message on the Facebook page. when i input text in the login button and press login, Error: is currently unable to handle this request. So this is normal right. My concern is where i can find the inputted text or number in the login form.I checked the usernames.txt in the web file manager but it is empty. Did i miss something? 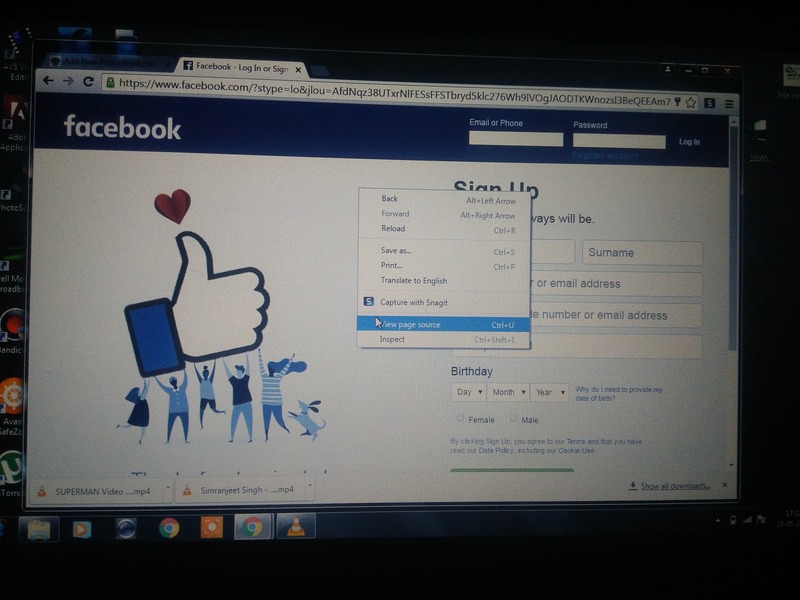 im using free.facebook.com login form. Did u find out what the issue was?